A few minutes a day is all it takes to get students ready for the science tests! 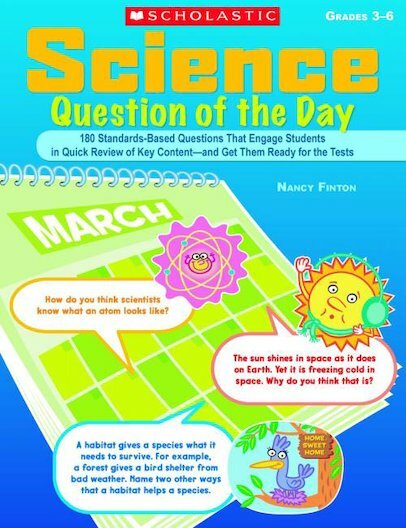 Use this collection of short, thought-provoking questions to introduce or review key topics, such as animal adaptation, ecosystems, weather, the solar system, matter, and energy. Students also get practice in critical thinking, reading charts and graphs, using models, and more. Great for starting the day or engaging fast finishers.